Everyone wants to be inspired, but let's be honest...like a bouquet of flowers, inspiration at best lasts about a week. Beyond inspiration lies action. Although not as appealing, it's what makes an idea, reality. Think about it. How often have you thought about an idea that has unlimited potential, yet a couple of days later it's tossed aside like last week's new toy? 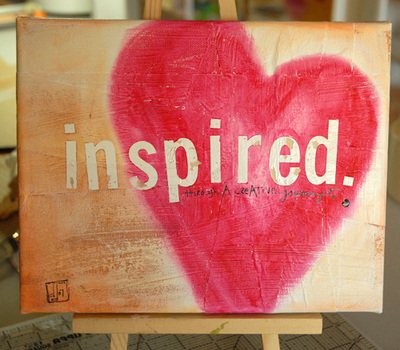 You know what transforms inspiration to action? Accountability. Yup, the A-word can be positive or negative motivation, but either way use it for what it's worth! New Year's resolutions never become tangible goals because there's no one to be accountable to. Before I became a coach, I hired one. I remember how motivated I was between meetings to show my coach how much progress I made since the last time we talked. Was it because I wanted to prove to myself I could do it? Was I afraid to look like a failure to him? Probably a combination of the two, but it was one of the most accomplished periods in my life. Start this year off on the right note. Don't settle for just being inspired. Get stuff done!